Virginia Tech’s leading rebounder and shot-blocker, Kerry Blackshear Jr., announced Tuesday on his Instagram page that he has entered his name into both the NCAA’s transfer portal and the 2019 NBA Draft. 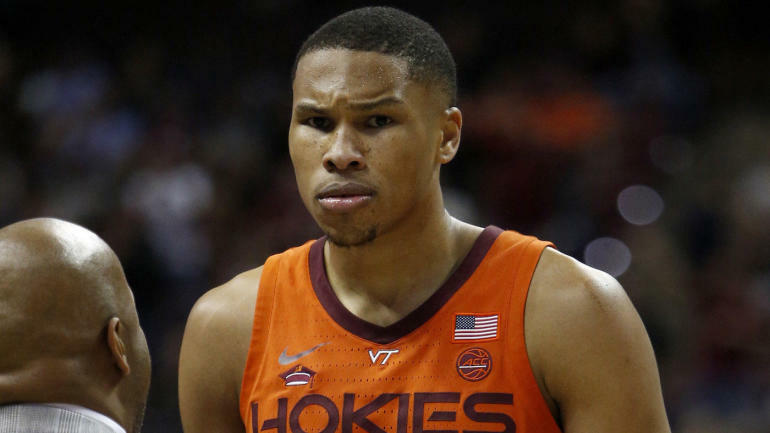 Blackshear’s decision to enter the transfer portal does not preclude a return to Blacksburg, Virginia, where he could be a centerpiece for the Hokies in the 2019-20 season. It does, however, open up his wide variety of options on where he might spend next season playing basketball to include any number of colleges who’d happily accept him as a graduate transfer in addition to the possibility of joining the professional ranks. Blackshear has until May 29 at 11:59 p.m. ET to withdraw his name from the NBA Draft before forfeiting what will be his final year of collegiate eligibility. As for what is next for him, Blackshear’s father told the Roanoke Times that Virginia Tech is the favorite to retain him but he is exploring all his options in the meantime amid what figures to be a pivotal offseason for him. Blackshear’s decision comes less than two weeks removed from ex-Hokies coach Buzz Williams leaving town to take the same position at Texas A&M. Virginia Tech hired longtime Wofford coach Mike Young, considered one of the top mid-major coaches in the country, to replace him on April 7 on a five-year, $12 million contract. Blackshear has improved incrementally in each season he’s played at Virginia Tech, and he’s coming off his most productive season yet in which he averaged 14.9 points and 7.5 rebounds per game. If he chooses to stay, with leading scorer Nickeil Alexander-Walker off to the NBA as a likely first-rounder and third-leading scorer Justin Robinson having exhausted his eligibility, it’s possible he’d become the Hokies’ No. 1 option in Year 1 of the Mike Young era. If he chooses to stay in college and exercise his right to transfer as a graduate, he’ll instantly become a top-five grad transfer target on the market.